`Twas The Weekend Before Thanksgiving… – Sunshine. Whimsy. Tacos. The weekend before Thanksgiving was a most eventful one for me. I spent most of the day on Saturday at the car dealership with my brother, going through the motions of the dance that is car salesmanship. After nearly four hours, a deal was struck for a car which had to be retrieved from another dealership. We confirmed the theoretical arrival date was sometime Monday or Tuesday, and I went on my way. That night, Amelie and I went to the Mardi Gras Casino to see Air Supply play a live show. 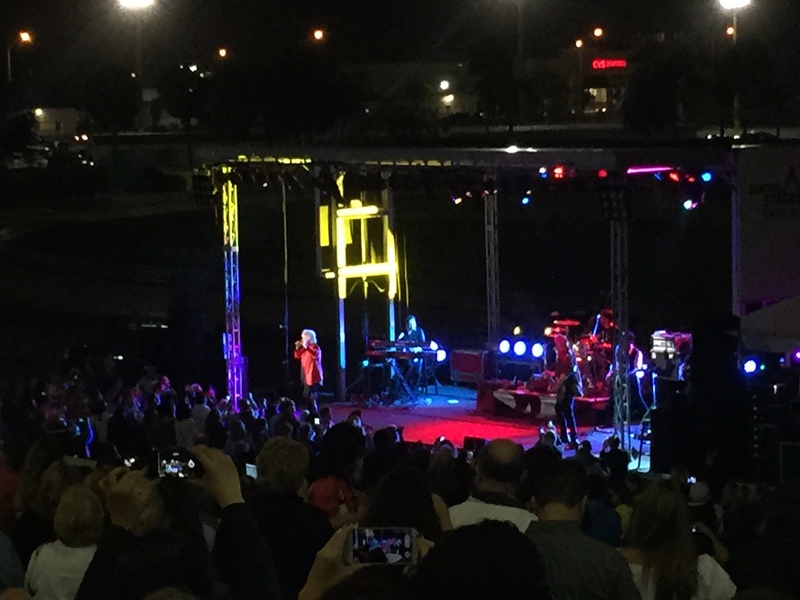 They basically played their greatest hits album, but they sounded fantastic. After the concert, there were delicious pancakes and eggs at the local IHOP restaurant. I really missed IHOP in Germany. Check out Amelie’s pancakes- they look pretty happy they’re about to get eaten, don’t they? Cut to Sunday, and I got a call from the sales manager that my car was already here, minus the tint (which will be installed in a week or so) and the backup sensor, which will probably be installed after thanksgiving. The car has a backup camera, but I wanted the doo-dad that beeps when you’re approaching an object too. For the first time since 2011, I own a car. It feels damn good to get that purchase ticked off of my repatriation to-do list. This is what I looked like right after I drove the car off the lot. 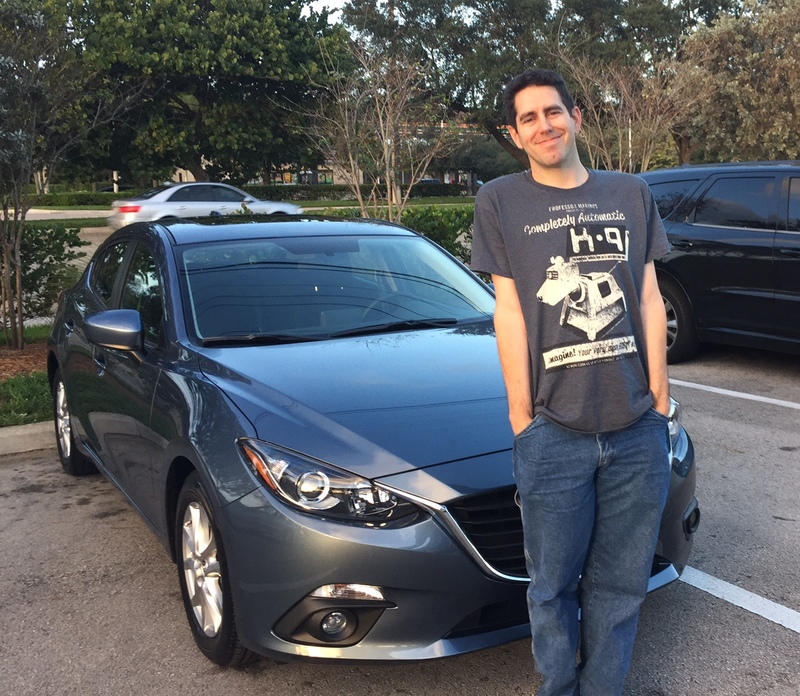 The car is a Mazda 3 hatchback in a nice light blue color, and I’m very very pleased. To cap off the weekend, we quite literally rode off into the sunset. Ok, so we actually drove away from this, but it’s a really pretty sky, don’t you think? 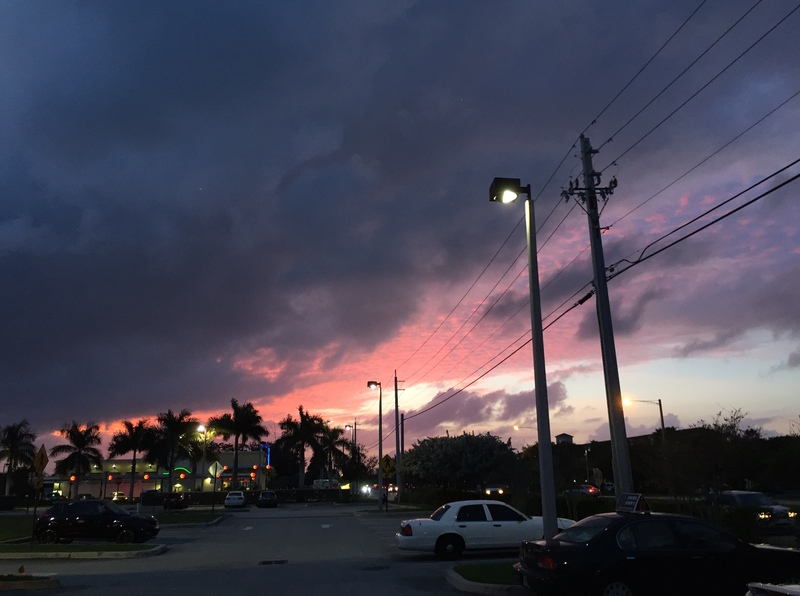 That’s one of the things I love most about South Florida–the sunset skies. Did you snap this with your phone?? Last week I backed into a Jaguar! It was in the Post Office parking lot, and we were both backing out at the same time. The woman jumped out of her car and said Oh! Did I hit something? My beeper didn’t go off! I don’t have any of that backup stuff in my nine-year-old Rav IV, but apparently it doesn’t matter… Don’t get too dependent on that sensor. Just sayin’…. 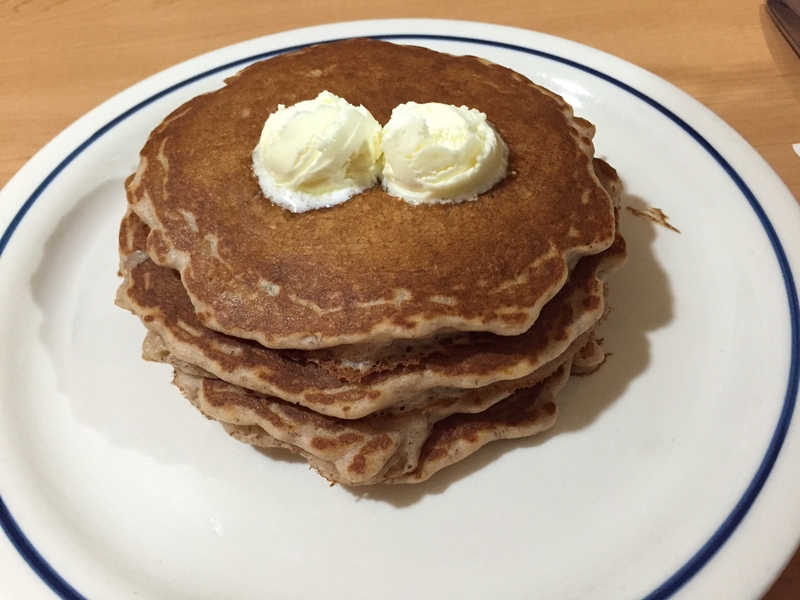 Mmmm, those pancakes look delicious! Here I am the one that you love…..SO JEALOUS! I loved Air Supply as a kid. I still secretly love them too. Kind of like I secretly love Helena Fischer. Sssh. Don’t tell anyone. Congrats on the new car! I went without one for 2 years. Sure feels good to have one again. I am still going through sticker shock on all of the expenses associated with cat ownership though. How about you? There’s really a lot of great food here. ::grin:: Whereabouts in the States will you be visiting? Oh I really want a reverse beeping thing!! I have nothing at all on my car – just a fear of hurting anything, so I usually park with massive spaces around me. You look so happy! Love the snowflakes, too.